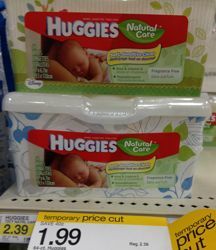 There is a nice high value $1/1 coupon for Huggies Wipes, in order to get the coupon you have to share with 3 of your friends. This will make for a great deal at Target. Thanks Frugal Living NW for the heads up on the coupon! Any reason I can’t print and use multiple copies? It allowed me to.